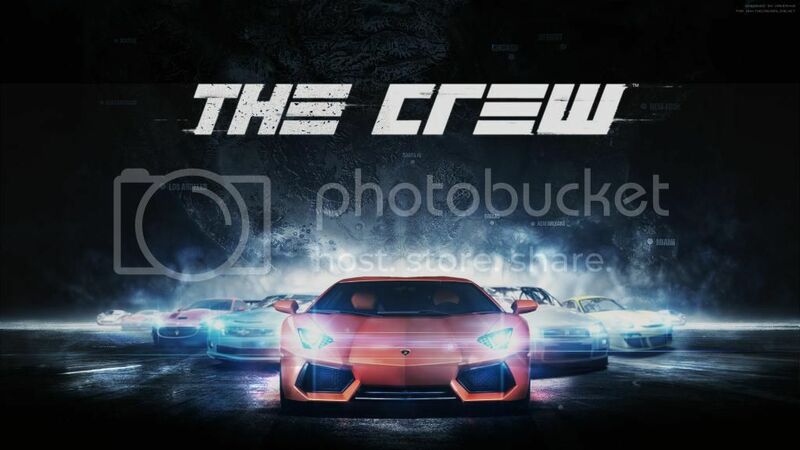 The Crew is, ironically, a game held back by its own ambition. It wants to be an MMO where everybody is permanently locked inside their cars which, while somewhat odd, is an interesting idea. 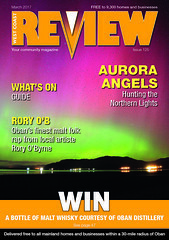 However, the developers have taken an offline template and sellotaped a load of online features on top – and some bits are coming loose. This is nonetheless a game which gets a lot right, not the least of which is the open world in which you drive your pimped-up polluter. It’s the whole of America and no, of course it’s not to scale, but it’s a flippin’ huge map with no loading screens. The ability to (quickly) fast travel to any spot of the map you’ve discovered, combined with the ability to use a nearby airport/train station to skip to a part of the good ol’ USA you’ve yet to visit, means that your next destination will rarely – if ever – seem tiresomely far away. There’s pleasure to be had in simply driving from one location to the next, however. Not only does each city look distinct, you’ll drive through forests, across snow, into and out of fields and beaches, battle through swampy ground, breeze over highways, rumble over rocky ground, and whizz determinedly through dirt tracks. As we said in our beta impressions, different cars handle very differently depending on the terrain. Missions & races only allow you to use the appropriate spec car, and while in ‘freedrive’ you can instantly swap between your owned cars at any time. Circuit cars fly over tarmac but aren’t much use over rough ground; Raid spec cars can handle anything, but only have a middling top speed; the Dirt spec lies somewhere between those two; and so on. Importantly, the world has been designed with cars in mind. Look closely and you’ll notice that (most) objects likely to get in your way can be smashed through; there are unrealistic, but convenient, lengthy spaces between trees far from the road; and you’ll find no narrow lanes to contend with. Returning to the issue of handling though, we’ve seen a lot of complaints about how the cars are unsatisfactory to drive in general. We think this is unfair. Controls lean heavily on the side of ‘arcade’, certainly, but there are a handful of assist and handling options to tinker with in the menu to make things more to your liking. The one complaint we will agree with is that, no matter how you tailor the setup, none of the cars feel like they grip the road as well as they should. It’s something you can adjust to, but you shouldn’t have to. Sadly/thankfully, it’s impossible to run over the Crazy-Taxi-style pedestrians. In terms of what the game actually gives you to do, there’s a story (which we won’t dignify by explaining) which pulls you hither and tither across the map. 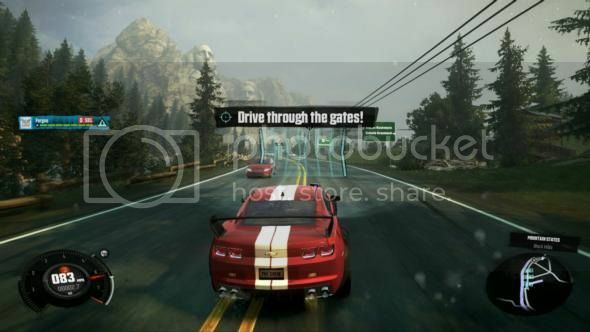 Missions fall into a fairly small selection of flavours, which boil down to (a) win this race, (b) hit all these checkpoints, (c) drive really fast away from these cars chasing you, (d) smash this car up, or – a horrible mission type which should never have made it into the game – (e) drive really fast in a very tight time limit through piles of boxes. Although story missions are easily pigenholed, they enjoy a feeling of variety thanks to the very different locales and routes used. There’s plenty to do between missions, too. Scattered across the many roads and highways are challenges automatically triggered by driving through an icon. These challenges include speed challenges, slalom challenges, and jump distance challenges. 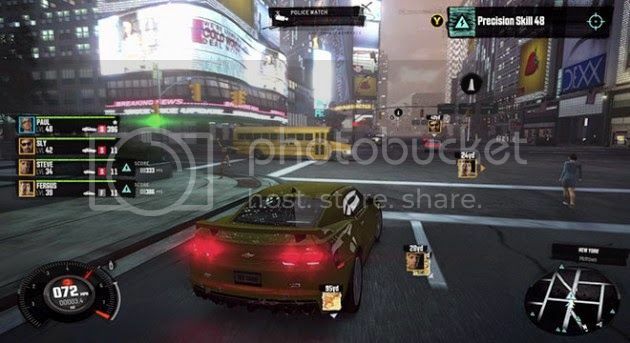 You also have ‘data stations’ to discover (which unlock more challenges) and hidden car parts which unlock secret vehicles. All missions and challenges can be replayed, too – you’ll never be at a loss for something to do. It’s a hugely enjoyable game for the most part, but – and this is a McDonalds addict sized but – the whole ‘play with other human beings’ bit doesn’t work nearly as well as it should. Connectivity is very rarely an issue, and usually just means a brief pause in the action (though if you do lose connection to the server, you’re unceremoniously dumped back at the title screen no matter what you were doing, as the game demands an internet connection). You can invite not just friends, but any other players in your session to join you in a story mission. This is handy if you’re having trouble, as only one of you needs to succeed in order for all of you (maximum four players per mission) to progress. However, the game will sometimes struggle to find even one player for your session. Even when you have the maximum eight (including yourself), if nobody accepts your invitation to play – which happens often – there’s no way to search for a new bunch of players. This is a huge oversight. The only way round it is to warp to a completely different part of America, or enter then exit a mission. On top of that, a friend or random player who wants to join you sometimes can’t – because they haven’t unlocked the mission you want to play yet. Even worse than all of this, the MMO-style ranking up and upgrading causes huge player imbalance. In short, if you want to win PvP races (which are separate from the story), don’t even bother trying until you’ve completed all the missions and spent many ‘perk points’ and completed many challenges. That probably means a few dozen hours of play. There’s no option to play with cookie cutter cars that offer no advantage, meaning that success is usually dictated by 75% playtime and 25% skill. For all its faults we greatly enjoyed our time with The Crew, and will doubtless put many more hours into it. That’s because we’re happy to play alone when we have to, however; if that doesn’t ring true for you, you may want to wait and see if player population issues are fixed.